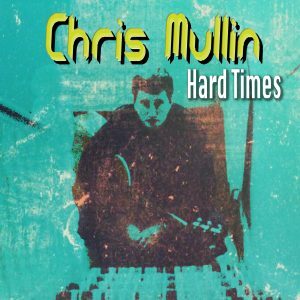 Welcome to the official website for Chris Mullin, a Liverpool musician, songwriter and producer. Liverpool musician Chris Mullin, at the moment is better known for being the bass player and co-songwriter with front man Digsy with their Liverpool band The Sums (ex Smaller), and was is also bass player for Hurricane #1 who had a string of hits in the 90’s and have recently reformed, however Chris has moved away to focus on his own material and his and Digsy’s band The Sums. Having always wrote and recorded songs in his studio, these particular tracks were not the type of songs that would be put forward for the band to perform, as they are totally different in style/direction/subject matter. They’ve never been heard until now. 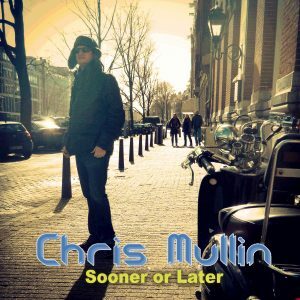 Sooner or Later is the 2nd release from songwriter/producer Chris Mullin, the Liverpool musician whom is also know for being the bass player and co songwriter with Digsy, along with their band The Sums. Chris has somehow managed to find time from the recording of The Sums 3rd album ‘BeTTeR’ to bring you this new solo release, which was written & self produced. The first release which was titled ‘Myself Fooling Me’ was gratefully received by the public and along with great reviews from critics across the globe. ‘Sooner or Later’ is set to make the same impression. Whilst sticking to the more subtle side of the path this release could arguably be described as slightly more musically adventurous whilst still retaining the calming and contageous melodies with the added personal touch echoing from the lyrical content. The EP is available for download only, and rumour has it thats the next solo release will be a full album. Released- 23rd May 2018, iTunes, Amazon MP3, Google Play, Spotify, YouTube Music, Napster, and many more online stores. Mellow, melodic, dynamic, emotional, easy listening songs that are a far step way from his normal comfort zone, the contrast from the in your face indie rock to the subtle tones of this solo E.P will leave you pleasantly surprised. 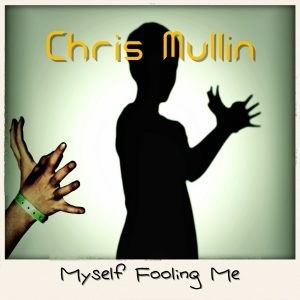 Myself Fooling Me, is the first solo release from Mullin; a 6 track solo E.P. 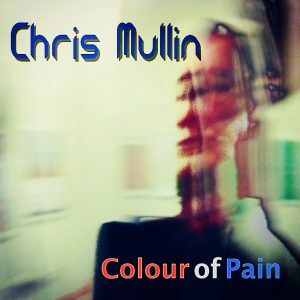 written, produced and performed by Chris Mullin who whilst searching through the archives on old hard drives, decided it was about time to release some of his un heard music. The 6 tracks where chosen from many, but they sit nicely next to each other and it felt right to leave it at that, no more, no less.. Plus there are plans to release a series of E.P.s consisting of more experimental styles of music and some featured vocalists will be making appearances, so there is plenty to go around in many varying styles, including some unfinished demos and also recordings from his 90’s band Silverback! Keep updated on new releases, tours, news, competitions and also receive free downloads. Video for ‘Dissatisfied Mind’ – Single released 06/10/18 – from EP ‘Sooner or Later’ Video for ‘Colour Of Pain’, single taken from the E.P. – Myself fooling Me. New Single – Hard Times *** OUT NOW *** OUT NOW!! !